To be able to have an unforgettable ranch vacation, you need to go to the best ranch resort you can find. But how do you identify the best ranch resort from the rest considering all ranch resorts are marketed as the best? Well, to help you get started, here is what you need to know about choosing your ranch vacation destination. 1. What experience are you looking for? Although most ranch resorts offer similar experiences, there are notable differences between different resorts. For instance, some ranch resorts may specialize in horseback riding while others offer generalized activities. If you want a ranch vacation solely for horseback riding, you should consider a resort that specializes in such an activity. Such ranches will have the best horses, horseback riding equipment, guides, programs and much more. It’s also important to consider the location and terrain the ranch sits on. The best ranch resorts are located in interesting areas with a lot to offer in regards to scenery. The terrain should also be favorable. Ranches which are located on flat grounds with little to no scenery don’t offer exciting experiences. Ranches which are located in extremely rocky grounds aren’t great either since they pose serious safety risks. It’s not safe to ride a horse on extremely rocky terrain. Furthermore, there is no need to visit a ranch resort with magnificent scenery if you can’t explore. For this reason, you should be on the lookout for a ranch vacation destination that strikes a perfect balance in regards to location and terrain. One of the most notable activities in any ranch resort is horseback riding. Considering horses are the subject of this activity, you need to choose a ranch resort with the best horses. Ranch-owned horses are better than rented horses for obvious reasons. For instance, ranch resorts which own horses have more control over the quality of horses. Such resorts are also bound to have better horseback riding programs. The best ranch vacation destination should also have enough resources. Considering most people choose ranch vacations to enjoy horseback riding, you should choose a ranch resort that has enough horses for all guests at any given time. Ideally, you should be able to get a horse as well as a replacement with ease. You should also consider safety when choosing a ranch vacation destination. Horseback riding among many other physical activities offered in most ranch resorts come with a lot of safety risks. For this reason, you should choose a ranch vacation destination that takes safety seriously. For instance, you should be able to get all kinds of safety gear when engaging in activities like horseback riding, mountain climbing, and hiking. The ranch resort should also have guides who are highly trained and skilled to deal with all kinds of safety risks imaginable. 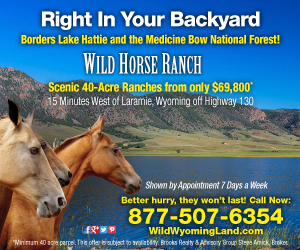 Choosing your ranch vacation destination is easy why you consider the above factors. The best ranch resort for you should offer the experience you are looking for. The ranch should also be located in a favorable location with terrain or paths that allow you to explore safely. The ranch resort should also have ample resources for everyone and maintain high standards of safety. 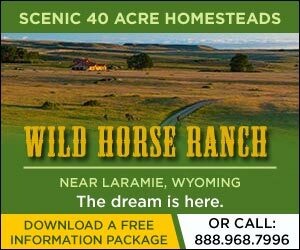 Stone Horse Farm is a place perfect for everyone who wants to experience the exciting ranch life out on the open range. Spend quality time together with your family and friends and make new memories that will last a lifetime. Contact us today for more information and we look forward to hearing from you soon.